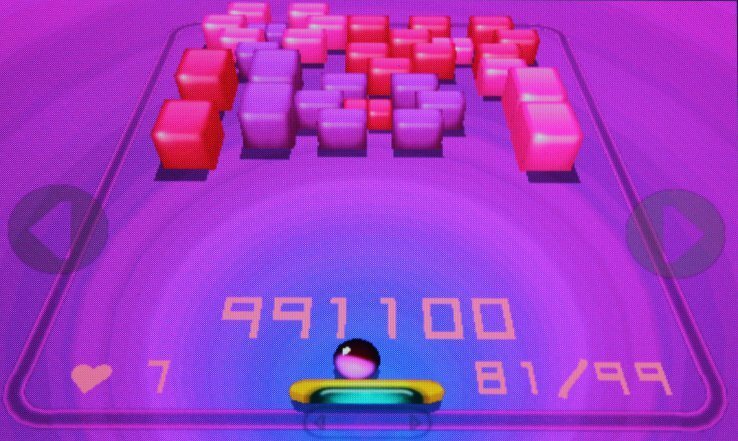 Like Tetris, Brick Breaker is one of those games that I consider one of the classic arcade games. I’ve played a number of variations of Brick Breaker over the years, so I was pretty excited when 3D Brick Breaker Revolution made it into the Marketplace. 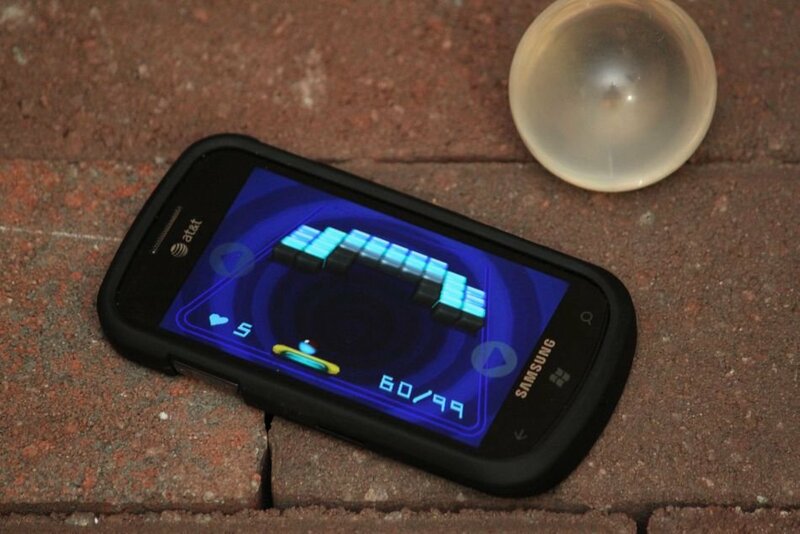 If you are a Brick Breaker addict, see the full review of 3D Brick Breaker Revolution after the break. One nice thing about 3D Brick Breaker Revolution is the ability to choose between several different control mechanisms. The first option is to use the arrows on either side of the screen to move the paddle back and forth. Secondly, you can drag your finger back and forth across the bottom of the screen, offering more precise control. You can also enable accelerometer control in the settings, though this can make things a little awkward. Unfortunately none of the control options are worth writing home about. The option to drag the paddle across the screen is by far the easiest to use, but the tradeoff is that you are obscuring a key part of the game area. 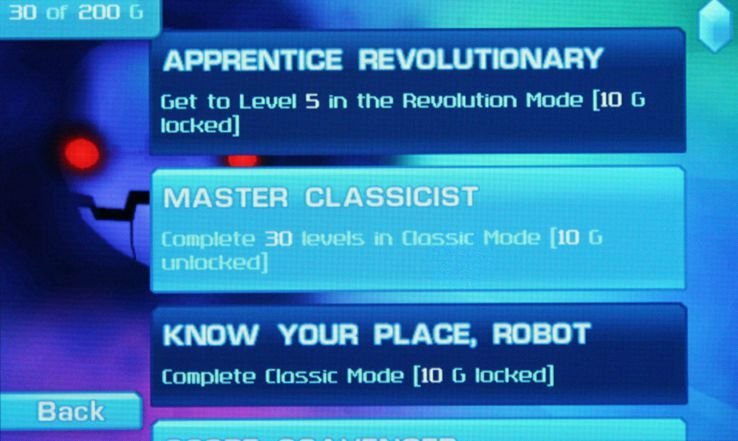 Personally I don’t see any reason to create a story behind a game as simplistic as Brick Breaker, but the angry robot that appears between certain levels disagrees with me. There really isn’t anything to the story other than the computer trying to defend itself against you progressing deeper into the game. Despite this, the game offers enough power-ups and twists (literally) that it will keep you busy for some time. There are both positive and negative power-ups, as well as some neutral and others that you don’t know unless you collect them. The graphics in the game are just strange. The game is rendered in 3D, but it actually detracts from the game quality. The backdrops in game are animated with psychedelic colors, which I find really annoying after playing the game for more than thirty seconds. When you’re building a brick breaker game, why do the bricks need rounded corners? 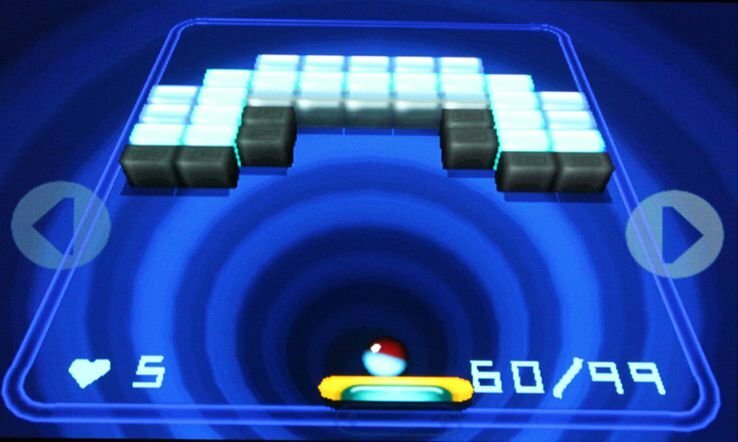 There are even times when the animations and effects actually obscure your view of the playing area, making it easy to lose track of where the ball is located. I find it disappointing that so much effort went into the graphics that it ruins the game for me. The bottom line is that the only reason I would recommend this game is if you want a brick breaker game that has Xbox Live achievements. In fact, the achievements are the lone bright spot to this game. A total of 20 achievements can be earned for point totals, levels beaten, power-ups collected, and different bricks destroyed. The game is fun to play, and will keep you busy for a while, but there are better implementations of brick breaker available. Update: The game was delisted at the beginning of 2014.